Can the train come in organza material? Dear valued customer ,Thanks for your concern of Tbdress.We just confirmed with our tailor that if you want the train to be made in organza material.We had to made the entire dress to organza material.This dress can be custom made .If you have any special request,please just leave message to us.We will try our best to meet your requirement .If you have any other questions, please do not hesitate to contact us and we will reply you as soon as possible.Thank you and best regards,Customer Service Department. hi Tb dress...this was my wedding gown...i requested custom made and it was a perfect fit..i made some changes on the sleeves though...overall...i eventually felt good in it. This dress is everything I ever wanted with a great price! !The train is just GORGEOUS!! 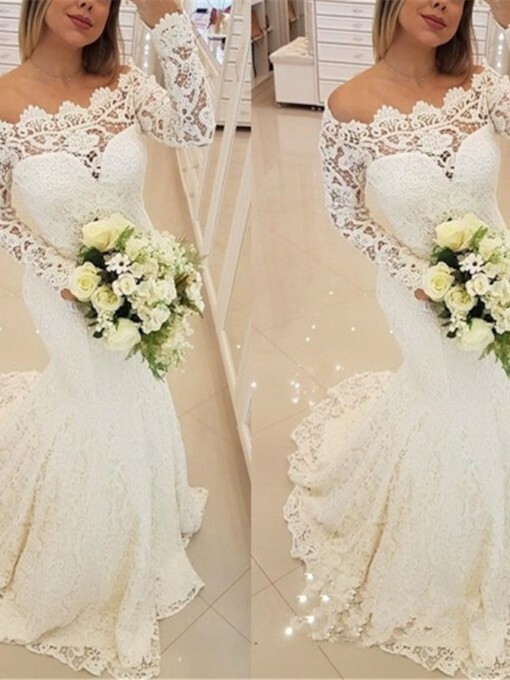 This dress IS worth buying if you don't want to spend much on a wedding dress. I will definitely recommend my friends this website. I bought my garter and veil here too. High quality stuff!! And the items ship fast!! 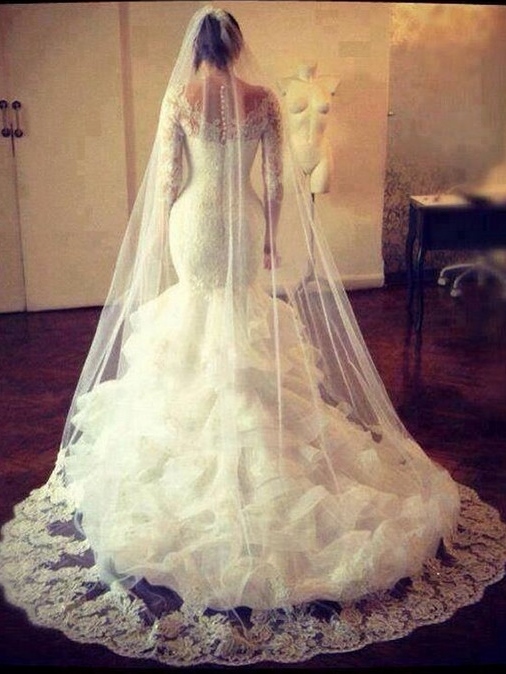 So excited for my wedding. You deserve my 5 stars! I was so skeptical buying a wedding dress online, it took me weeks to finally buy this dress after looking at it every day. I looked at all reviews and made the decision to buy with custom sizing. My dress came in in less time than expected and I absolutely loved It! I got lots of compliments on it. I highly recommend this site!!! I was very hesitant about making a purchase of such an important piece. But, I was VERY pleased with my dress. The quality of the material is great and the fit was perfect. If you’re indecisive about this as much I was don’t be. The best the decision I could’ve made. 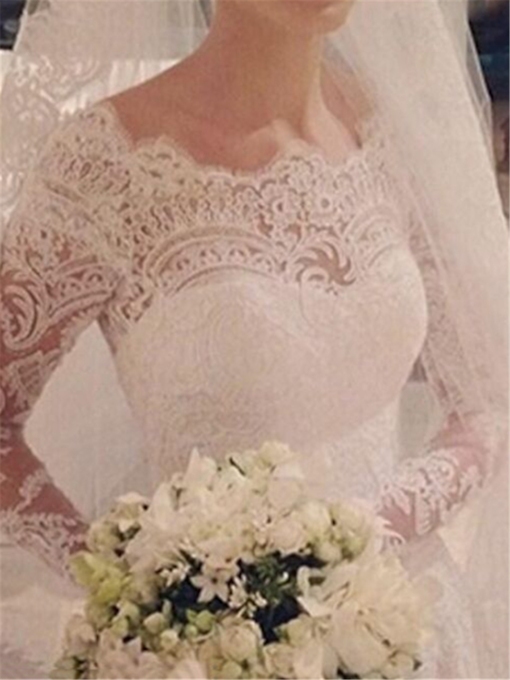 I love this dress where can I get the matching veil? I received my dress yesterday and it is absolutely beautiful. I was worried how it would be because the price is so good, and it came in a small package. It is identical to the picture. The fabric is an excellent quality, the stitching and sowing are very good. Absolutely beautiful. I was very surprised because I don't like ordering things offline, however the dress was put together very nicely it's not cheap made and it looks exactly as it does in the picture off their page. I love it!! Wow! I was a little worried to order my wedding dress online but it arrived today and i couldn’t be happier! It’s beautiful and fits almost perfect after sending in my measurements. I will only need very slight adjustments, overall great job for an online order! It’s beautiful and perfect for my big day! Thank you!! Very happy with the dress, it’s true to size and very well made. Delivered on time, however the tracking number sent didn’t work so it was lucky I was in to sign for it. I would recommend to anyone.